Woburn students and teachers love the Lexia Program! In 2016, after receiving multiple requests for Lexia through the Educator Grants Program, the Woburn Community Educational Foundation (WCEF) applied for and was awarded funding through Cummings Foundation’s “100k for 100” program. The grant supports a 5-year pilot project to provide the Lexia Core 5 Reading Program as a district-wide initiative to improve reading skills for the lowest performing students in kindergarten through grade 3 in the Woburn Public Schools. The success of the pilot to date has been impressive, and has caught the attention of Lexia, which published a case study to highlight the impact the program has had in the schools. The report notes that of the 1,166 students using Core5 during the 2017-2018 school year, 53% met their usage targets and 70% of these students met their end of year reading benchmark. As a result of Woburn students high use of Lexia, the percentage of students working below their grade level reduced from 47 percent to only 4 percent. Studies have shown that students who read at grade level by grade 4 enjoy greater success throughout their academic careers. As use of the program expands in each elementary school, Core5 is also helping the district move towards a more student-centered educational environment—where learners can move up the learning scale based on their individual capabilities. “Thanks to the support of the Cummings Foundation, this project has the potential to ensure the future achievement of an entire class of Woburn High School graduates,” states WCEF Executive Director Maureen Willis. Read the Lexia Core5 Report here. Woburn-based Cummings Foundation, Inc. was established in 1986 by Joyce and Bill Cummings of Winchester. With assets exceeding $1 billion, it is one of the largest foundations in New England. Additional information is available at www.cummingsfoundation.org. 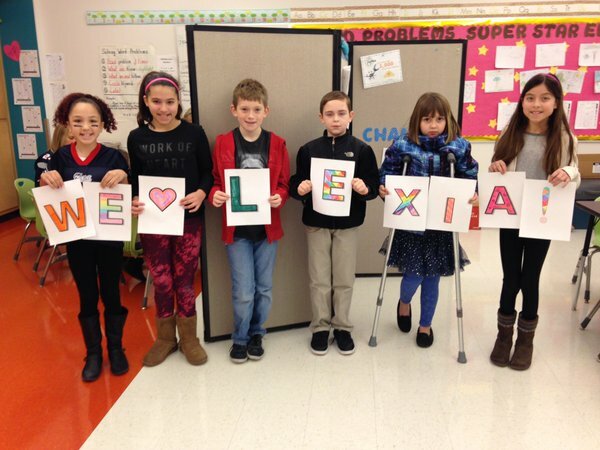 Photo: Ms. Connolly’s students at the Goodyear Elementary School Love Lexia!